Herewith the grids so far in subcircuit judicial races. Clicking on any image may increase its size or sharpen its focus, depending on the device on which you are reading this. The Alliance of Bar Associations for Judicial Screening is comprised of the Asian American Bar Association of the Greater Chicago Area (AABA), Black Women Lawyers’ Association of Greater Chicago (BWLA), Chicago Council of Lawyers (CCL), Cook County Bar Association (CCBA), Decalogue Society of Lawyers (DSL), Hellenic Bar Association (HBA), Hispanic Lawyers Association of Illinois (HLAI), Illinois State Bar Association (ISBA), Lesbian and Gay Bar Association of Chicago (LAGBAC), Puerto Rican Bar Association of Illinois (PRBA), and Women’s Bar Association of Illinois (WBAI), working collaboratively to improve the process of screening judicial candidates in Cook County, Illinois. You'll note some organizations have rated some candidates "NE." That is not a negative evaluation. It is, rather, an indication that the particular bar association was unable to participate in the evaluation of that candidate, through no fault of that candidate. As previously mentioned, Alliance members who have not completed their evaluations are working hard to do, and once new grids are released, I will have them here on FWIW. Herewith the grids so far in the countywide judicial races. Clicking on any image may increase its size or sharpen its focus, depending on the device on which you are reading this. The Alliance Bar groups have been working steadily to get all the participating judicial candidates rated (a few refused to participate and were found not recommended or not qualified across the board), but early voting is almost upon us and the some of the participating groups haven't quite finished their evaluations. With early voters in mind, the Alliance has today released the ratings that it does have -- and I will have them for the Appellate Court in this post, and the countywide and subcircuit judicial vacancies in posts to follow. depending on the device on which you're reading this. When the grids are updated, I'll post them here. Meanwhile, I express my gratitude to the Alliance, and particularly to Alliance Coordinator Joyce Williams, for allowing me to share this information. Updated to reflect corrections made by the Chicago Council of Lawyers to its Report on Judicial Candidates. The Chicago Council of Lawyers has today released its ratings of judicial candidates for the upcoming March primary election. That link will take you to the CCL website, where you can download (as .pdf documents) both the Council's complete report and a two page sample ballot (issued by the Committee to Elect Qualified Judges but using the Council's recommendations). In this post, I'll cover the Council's ratings in Cook County subcircuit judicial races. For more about the CCL's judicial evaluation process, see this post or consult the Council's complete report. I have taken the liberty of making one editorial change in my recital of the Council's individual ratings: Where the candidate is a sitting judge, I have indicated that in the candidate's title (e.g., Judge Mary Smith). Sometimes the Council uses that style, other times it uses the prefix "Hon." and on other occasions omits any title before the candidate's name. Note that a candidate who refused to participate in the Council's evaluation process is automatically found Not Recommended. Nyshana K. Summer did not participate in the judicial evaluation process. The Council finds her Not Recommended for the Circuit Court. Steven G. Watkins was admitted to practice in 1991. Since 2001, he has been a sole practitioner focusing on criminal defense, civil litigation, and real estate work. Between 1991 and 2000, he was the founding partner of a three-lawyer firm. Mr. Watkins reports that he has acted as lead counsel in 10 jury trials in criminal matters, one civil jury trial, “at least” 43 bench trials in criminal matters and four civil bench trials. Mr. Watkins is considered to have a low-key, professional demeanor and is considered a diligent attorney. The Council finds him Qualified for the Circuit Court. Lauren Broughham Glennon did not participate in the judicial evaluation process. The Council finds her Not Recommended for the Circuit Court. Terrence J. McGuire was admitted to practice in 1991. He is a solo practitioner focusing on estate planning, probate, and real estate transactions. He is also an administrative law judge in ordinance enforcement proceedings. Mr. McGuire is praised for the work that he does. He is reported to have a good temperament as an administrative law judge and manages the calls well. He handles a variety of cases involving county ordinances and his opinions are praised as being well-founded. The Council is concerned, however, that Mr. McGuire has little litigation experience as a lawyer in more complex matters. He has the potential to be a good Circuit Judge, but the Council finds him Not Qualified for the Circuit Court at this time. Brian Stephenson was admitted to practice in 1988. He has been in private practice throughout his career doing insurance defense, other types of civil litigation, and criminal defense. He is praised for his community service. He reports acting as lead counsel in 15 criminal jury cases, 5 civil jury cases, about 50 civil bench trials, and 25 criminal bench trials. Mr. Stephenson is considered to have good legal ability with a professional demeanor. He is respected as a good practitioner who is diligent and well-prepared. The Council finds him Qualified for the Circuit Court. James J. Ryan did not participate in the judicial evaluation process. The Council finds him Not Recommended for the Circuit Court. Daniel Peters was admitted to practice in 1991. He was appointed to the bench in 2011 and currently sits in Bridgeview. As a lawyer, Mr. Peters served as a prosecutor for the City of Burbank, and as legal advisor to St. Patricia Parish in Palos Hills. Following his admission to the bar, Mr. Peters served as Administrative Assistant to the Clerk of the Circuit Court, and also served as an administrative hearing officer, from 1991 to 1992.From 1991 to 1995, he was an attorney in attendance for the Cook County Pension Board, and also maintained a private criminal trial practice. In addition, Mr. Peters has been an Independent Election Administrator on the Cook County Pension Board, and has represented and defended candidate petition challenges for the Lyons Township Electoral Board. As a lawyer, Mr. Peters was praised for his temperament and acquired litigation experience as a municipal prosecutor of traffic matters, as a bar attorney in misdemeanor criminal cases, and in other less complex matters. The Council was concerned that his litigation practice was narrow. However, lawyers report that he is doing a good job as a hard-working jurist in his current assignment. He is praised for his judicial temperament. He is reported to be courteous to all parties, as well as being impartial and fair. He is also considered to be a good courtroom manager. The Council finds him Qualified for the Circuit Court. Maureen Masterson Pulia was admitted to practice in 1994. For the past ten year she has been an arbitrator for the Illinois Workers’ Compensation Commission (IWCC). From 1994 to 1996 she served as the Director of Access Health. From 1997 to 2003 she served as a staff attorney for the IWCC where she drafted legislation, reviewed briefs, and performed other non-litigation duties. Ms. Pulia is reported to have good legal ability and temperament. The Council is concerned, however, that her practice has been narrow and that she lacks sufficient litigation experience as a practitioner in complex matters. The Council finds her Not Qualified to serve in the Circuit Court. Martin Reggi was admitted in 1980. He is currently a sole practitioner in a general practice. Between 1980 and 1985 he served as an Assistant State’s Attorney. As lead trial counsel he reports taking 20 criminal cases to a jury trial and about 20 civil and 500 criminal to a bench verdict. Mr. Reggi is considered to be a good practitioner with a good temperament. His recent litigation experience involves a variety of complex legal matters. The Council finds him Qualified for the Circuit Court. John Allegretti has been a lawyer since 1995. He is currently General Counsel to the Office of the Cook County Assessor’s Office. After graduating from law school, he did domestic relations and bankruptcy work in a private firm for two years. He then served as a hearing officer for the Illinois Property Tax Appeal Board. From 2001 to 2005 he served as a Cook County Assistant State’s Attorney doing civil rights and tort litigation defense work. Mr. Allegretti is considered to have good legal ability and is praised for being hard-working. He is considered to have a professional, even-tempered demeanor. The Council finds him Qualified for the Circuit Court. Robert Kuzas was admitted to practice in 1989. He is currently a solo practitioner where he focuses on criminal defense, personal injury, and labor relations cases. He has been in private practice throughout his career. Mr. Kuzas has substantial experience in a variety of more complex litigation matters. He is considered to have good legal ability and temperament. He is praised for his litigation skills. He is reported to be exceptionally hard-working and knowledgeable. The Council finds him Qualified for the Circuit Court. Judith Rice was admitted to practice law in 1988. She is currently senior vice president of Community Affairs and Economic Development at BMO Harris Bank and from 2007 to 2010 she was Vice President and Director of Government Relations for BMO Harris Bank. For six years prior to becoming a lawyer she worked at the Cook County State’s Attorney’s Office in the Community Services Unit handling citizen inquiries and assisting crime victims with obtaining counseling, medical care, and judicial process. After law school she worked for one year as an Assistant State’s Attorney and for one year as an Assistant Chicago Corporation Counsel. She did preliminary hearings, appeals, and trials in the juvenile division. She handled criminal housing division cases for the City of Chicago From 2006 to 2007 she was Deputy Chief of Staff for the Mayor of Chicago, and served as the Chicago City Treasurer from 2000 to 2006. From 1996 to 1999 she served as the Commissioner for the Chicago Department of Water, and from 1992 to 1995 she directed daily operations of up to 450 employees at the Chicago Department of Revenue. While at the Department of Revenue from 1990 to 1992, she implemented administrative adjudication programs – helping design the process for the adjudication of parking violations and to train staff. She is exceptionally active in community affairs. Judith Rice is considered to be very smart and has extensive experience as a government official and in the banking sector. She is reported to have a very good temperament. The Council is concerned, however, that she has little litigation experience – normally a requirement for a judicial candidate. However, she has served as an administrator in exceptionally responsible government positions and seems to have transitioned well into the private business sector. She is reported to be an excellent administrator, an important judicial characteristic. On balance, the Council finds her Qualified for the Circuit Court. Owens J. Shelby did not participate in the judicial evaluation process. The Council finds this Candidate Not Recommended for the Circuit Court. Hon. Jerry A. Esrig was admitted to practice in 1978. He was appointed to the Circuit Court by the Illinois Supreme Court in 2013. Before becoming a judge, he was a Partner with a small firm, focusing on sophisticated personal injury and commercial litigation matters. Judge Esrig was an accomplished litigator with substantial litigation experience in a variety of complex matters. He is active in pro bono matters, as well. He is praised for his litigation skills, as well as for his professionalism and integrity. He is considered to have excellent legal ability and is always well-prepared. Mr. Esrig is a highly respected practitioner and a role model for younger lawyers. The Council finds him Well Qualified for the Circuit Court. Megan Goldish was admitted to practice in 1997. She is currently an Assistant Cook County State’s Attorney, working as a First Chair prosecutor in a felony trial courtroom. She serves as the First Chair in the WINGSS Felony Prostitution Call, a well-respected diversion program. Ms. Goldish has substantial experience in complex litigation, and is involved in substantial pro bono and civic matters. She is considered to have good legal ability and temperament, and she is praised for being hard-working and knowledgeable. The Council finds her Qualified for the Circuit Court. Nathan Benjamin Myers was admitted to practice in 1985. He is a solo practitioner. My Myers has a variety of experiences as a lawyer, and he is reported to have a good temperament. The Council is concerned, however, that he lacks experience in litigation matters. The Council finds him Not Qualified for the Circuit Court. Anjana Hansen was admitted to practice in 1998. She is a contract attorney with the City of Evanston, conducting administrative hearings in the areas of police, property standards, health, and fire. She has served as the Alderman for the 9th Ward of the City of Evanston. She is a former Assistant Cook County State’s Attorney. She was in part responsible for establishing an administrative hearings unit within the State’s Attorney’s Office, which included educating potential witnesses about the legal requirements. Ms. Hansen is considered to have good legal ability and temperament, and is very active in community activities. The Council finds her Qualified for the Circuit Court. Monica Ann Forte was admitted to practice in 1994. She has always been in private practice focusing on commercial litigation. She reports handling few trials to verdict but has substantial experience in all aspects of complex litigation. She is considered to have broad experience in a number of civil law areas. She is reported to have good legal ability and a good temperament, even in heated situations. The Council is concerned that Ms. Forte has little actual trial experience, but she has substantial experience in litigation-oriented activities. On balance, the Council finds her Qualified for the Circuit Court. Hon. Michael Otto was admitted to practice in 1998 He was appointed by the Illinois Supreme Court to be a judge in 2012. He is currently sitting in the Chancery Division, hearing foreclosure matters. The Council evaluated Judge Otto before he was appointed to the bench. At that time, he was a lawyer with the law firm of Jenner & Block. He was a judicial clerk for about ten years prior to joining Jenner & Block. He was considered to have good legal ability and temperament. As a judge, lawyers report that he is doing a very good job in his current position. The Council finds him Qualified for the Circuit Court. Abbey Romanek has practiced law since 1987. She has served as a Senior Assistant Attorney General in the Medicaid Fraud Division. From 1987 until 2004, she was in private practice first handling criminal defense matters and focusing for the next eleven years on medical malpractice cases. Ms. Romanek is reported to have good legal ability and temperament. She has had substantial trial and appellate experience in complex civil and criminal law matters. The Council finds her Qualified to serve in the Circuit Court. Michael A. Strom has been in private practice since his admission to the bar in 1977. He is currently has a litigation practice with Strom & Associates. From 1997 to 2011 he was Staff Counsel to CNA while in private practice. He was a lawyer and then a partner with Schaffenegger, Watson & Peterson from 1978 to 1984. Mr. Strom has very good legal ability and has been widely praised for his good temperament. He has extensive experience as a trial lawyer on a variety of challenging cases. He is also involved in numerous community activities such as the Chicago Coalition for Law-Related Education. The Council finds him Well Qualified for the Circuit Court. Brian Edward Alexander was admitted to practice in 1976. He is currently the lead partner in a two-person law firm, and has spent most of his legal career as a sole practitioner. He reports no jury trial experience but reports more than 100 civil bench trials and 20 criminal bench trials. Much of his practice involves domestic relations matters, but he also practices in the areas of bankruptcy, probate, and commercial law. He is considered to have good legal ability and has substantial litigation experience in a variety of areas. He is praised for being well-prepared and for having a good temperament. The Council finds him Qualified for the Circuit Court. Thomas M. Cushing has been an associate at the civil litigation firm of Ambrose & Cushing, PC since his admission the Illinois bar in 1988. Mr. Cushing is reported to be a solid practitioner with very good ability and an excellent temperament. He has substantial litigation experience in complex matters. He has been involved with numerous community activities, including teaching and environmental advocacy. The Council finds him Well Qualified for the Circuit Court. Hon. Anthony C Kyriakopoulos was admitted in 1990. Judge Kyriakopoulos was appointed to the Circuit Court by the Illinois Supreme Court in 2010. Before becoming a judge, he had served as an Assistant State’s Attorney in the Money Laundering Unit of the Narcotics Bureau. Mr. Kriakopoulos is reported to have good legal ability and temperament. He has substantial litigation experience in complex matters and was praised for being a honest and zealous prosecutor. The Council finds him Qualified for the Circuit Court. Katherine Angela O’Dell was admitted to practice in 2000. She is a solo practitioner focusing on real estate tax appeals. She has served as an Assistant Cook County State’s attorney where she served in the tax appeals division. She is considered to have good temperament and is praised for being knowledgeable in her very narrow practice area. The Council is concerned, however, that she has little litigation experience outside of real estate tax appeals, and that she has not demonstrated the ability to be able to master other, more complex areas of the law. The Council finds her Not Qualified for the Circuit Court. Gina Allyson Crumble was admitted to practice in 1994. She has spent most of her career as an Assistant Cook County State’s Attorney where she is currently a supervisor in the prosecution of civil child protection cases. She served as a solo practitioner from 2003 to 2005 doing adoption, child support, and child protection court proceedings. She has extensive bench trial experience in juvenile court matters. She is active in community activities. She is reported to have good legal ability and temperament. Lawyers praise her trial skills and say that she is hard-working and exceptionally knowledgeable about her area of law. She has substantial experience as both a litigator and as a supervisor. The Council finds her Qualified for the Circuit Court. Joanne F. Rosado was admitted to practice in 2001. She is a career Assistant Cook County Public Defender. She is a First Chair Public Defender in murder cases, assigned to the Multiple Defendants Unit. She has substantial litigation experience in more complex matters in both civil and criminal law cases, having been assigned to the section doing child protection cases. Ms. Rosado is considered to have good legal ability and temperament. She is praised for her litigation skills and for being a strong advocate while maintaining a professional demeanor. The Council finds her Qualified for the Circuit Court. Scott M. Kozicki was admitted to practice in 1999. Since 2005 he has served as an Assistant Cook County Public Defender where he represents defendants accused of felony crimes involving complex forensic issues. He has also been an Assistant Public Defender in the Juvenile Division, Traffic Division, and Appeals. Mr. Kozicki is praised by lawyers and judges for his trial skills. He is reported to have good legal ability and has substantial experience in complex criminal law matters. He is reported to be very knowledgeable and for being a zealous advocate for his clients. He is, however, also considered to have a professional, low key demeanor. The Council finds him Qualified for the Circuit Court. Hon. Pamela McLean Meyerson was admitted to practice in 1983. Judge Meyerson was appointed to the Circuit Court by the Illinois Supreme Court in 2013, and currently sits in the Chancery Division, hearing mortgage foreclosure cases. Before becoming a judge, she had been a sole practitioner, handling civil and commercial litigation in the Circuit Court of Cook County. She also organized and advised small businesses. Between 1983 and 1985 she was in private practice at Antonow & Fink and was an associate with Goldberg Kohn Bell Black Rosenbloom & Moritz between 1985 and 1989. Ms. Meyerson is reported to have good legal ability and a professional demeanor. She was respected as a hard-working, knowledgeable, and highly ethical practitioner. The Council finds her Qualified for the Circuit Court. Samuel S. Bae was admitted to practice in 1999. He was admitted in the state of Texas in 2005. He is a solo practitioner representing individuals and businesses in domestic relations, commercial litigation, and personal injury litigation. From 2000 to 2012, he was a co-owner of a small firm where he focused on litigation and business counseling. From 1999 to 2000 he was an associate with Sanchez & Daniels. He is reported to have good legal ability and does a good job representing his clients. However, most of his legal work does not involve actual trials, although he is active in doing discovery work, settlement negotiations, and other aspects of litigation, albeit in less sophisticated matters. While the Council notes that Mr. Bae is a respected lawyer, we are concerned that he does not have sufficient litigation experience in complex matters. On balance, the Council finds him Not Qualified for the Circuit Court. While the current evaluation of Mr. Meczyk establishes that he is still considered to be a good litigator, the Council as a matter of policy, is unable to find him qualified due to his past felony conviction. James Edward Hanlon, Jr. was admitted to practice in 1984. He is in private practice. He is considered to have good legal ability and temperament. He has substantial litigation experience. The Council finds him Qualified for the Circuit Court. John Curry was admitted to practice in 1978. He is currently a shareholder and attorney with a small firm where he focuses on business litigation matters. From 1983 to 1986 he served as a trial attorney in the Civil Rights Division of the U.S. Department of Justice. From 1981 to 1983 he was an Illinois Assistant Attorney General where he was assigned to the Special Litigation Section. From 1995 to 1998, he was an Illinois Special Assistant Attorney General assigned to prosecute eminent domain cases. Mr. Curry is reported to have good legal ability with a lengthy and diverse legal practice. He is a zealous advocate but is praised for his temperament and fairness. His evaluation materials were notably thoughtful. He is considered to be a good lawyer with extensive litigation experience in more complex matters. The Council finds him Qualified for the Circuit Court. Patrick Kevin Coughlin was admitted in 1996. Since 2002 he has been an Assistant State’s Attorney in the Complex Narcotics Unit, an especially demanding assignment. He has been working in the office since 1997. As lead trial counsel he reports taking 15 criminal cases to a jury verdict and around 100 to a bench verdict. Mr. Coughlin is a career prosecutor who receives praise as having good legal ability and temperament. The Council finds him Qualified for the Circuit Court. John S. Fotopoulos was admitted to practice in 2000. He is a solo practitioner focusing on personal injury, workers’ compensation, and criminal defense cases. He reports handling one case on appeal. Mr. Fotopoulos is considered to have good legal ability and temperament. He has some litigation experience in more complex matters, although most of his litigation experience involves settlement and motion practice. He is praised for his litigation skills. This is a close call. Mr. Fotopoulos has some litigation experience but the Council is concerned that he does not yet possess sufficient experience in a variety of areas. On balance the Council finds him Not Qualified for the Circuit Court. Diana Embil was admitted to practice in 1988. She was appointed to the Circuit Court by the Illinois Supreme Court in 2013. Before becoming a judge, she was an Associate Regional Counsel with the U.S. Environmental Protection Agency. She served as a member of the Minimum Continuing Legal Education of the Illinois Supreme Court. She served as a law clerk for former Justice R. Eugene Pincham during his tenure on the Illinois Appellate Court and for Illinois Supreme Court Justice Charles E. Freeman. As a practitioner, Judge Embil was considered to have good legal ability and temperament. She had substantial experience with litigation-related matters. The Council finds her Qualified for the Circuit Court. Michael Barrett was admitted to practice in 1991. He has spent most of his career with his current firm, Barrett & Sramek doing civil litigation. Mr. Barrett is regarded as an experienced trial practitioner involved in a variety of matters. He is considered to be bright and knowledgeable and received high marks for his temperament. He has a reputation for being a good lawyer who is both fair and a zealous advocate. The Council finds him Qualified for the Circuit Court. Sondra Denmark did not participate in the judicial evaluation process. The Council finds her Not Recommended for the Circuit Court. Hon. Christopher Lawler was admitted to practice in Illinois in November 1988. He was appointed to the Circuit Court by the Illinois Supreme Court in 2013. Before becoming a judge, he was in private practice focusing on insurance defense work. From 1991-1995 he was an Associate Attorney for Coleman & O’Halloran, and from 1988-1991 he was an Associate Attorney for Law Offices of Clifford P. Mallon. He was with the firm of Hilbert, Lawler & Power, Ltd from 1995 to 2013. He is active in community affairs. Judge Lawler is considered to have good legal ability and temperament. As a lawyer, he had substantial litigation experience in more complex matters. He was praised as being a hard-working and well-prepared advocate for his clients. The Council finds him Qualified for the Circuit Court. Mary Beth Duffy was admitted to practice in 1992. She has been an Assistant Cook County State’s Attorney for the past 17 years. She was a solo practitioner before becoming a prosecutor. She was recently appointed to be the Deputy Supervisor of the Domestic Violence Unit. She has served as a First Chair prosecutor in the felony trial division in the Markham Courthouse for many years. She is praised for her legal ability. She is considered to be knowledgeable, and always prepared. She is considered to be hard-working, honest prosecutor with a professional demeanor. The Council finds her Qualified for the Circuit Court. Robbin Perkins did not participate in the judicial evaluation process. The Council finds this candidate Not Recommended for the Circuit Court. In this post, I'll cover the Council's ratings in countywide judicial races. For more about the CCL's judicial evaluation process, see this post or consult the Council's complete report. Bridget Anne Mitchell was admitted to practice in 1981. She has spent her career in private practice, with an extensive record of civil litigation in more complex matters with experience with both bench and jury trials. Much of her practice involves tort defense, medical malpractice, and wrongful death cases. She is considered to have good legal ability and temperament. The Council finds her Qualified for the Circuit Court. Judge Alfred M. Swanson was appointed to the Circuit Court in 2010. He was admitted to practice in 1982. Before taking the bench, he did commercial and construction litigation in private practice. He served for three years as an Assistant Illinois Attorney General in the Consumer Fraud and Charitable Trust Divisions. As Editor of the ISBA Bench & Bar Section Newsletter, he frequently wrote or co-authored articles for publication in the newsletter. As a practitioner, Judge Swanson was considered to have good legal ability and temperament. He was highly regarded as a solid and diligent practitioner. As a judge, he is praised for his temperament and for his courtroom management skills. The Council finds him Qualified for the Circuit Court. Maritza Martinez was admitted to practice in 1989. She is an Associate in the Law Offices of Victor J. Cacciatore where she has a litigation practice in criminal defense, civil law, and administrative matters. She is a Commissioner for the Illinois Court of Claims. She has been an associate at the Law Offices of Robert Fisher doing criminal defense work. In 2004, she was at a small firm doing insurance defense and catastrophic loss work, and from 1991 until 2004, she was with the City of Chicago Department of Law doing prosecution and civil rights defense. Prior to 1991, she spent two years at a small firm doing real estate work. Since November 2007, she has also served part-time as a hearing officer and Commissioner with the Illinois Court of Claims, conducting trials and making recommendations to the Court of Claims judges regarding the disposition of various claims against the State of Illinois. She also currently serves on the Inquiry Board of the Attorney Registration and Disciplinary Commission. Ms. Martinez has litigation experience in both state and federal courts. In 2009 the Council stated in its evaluation: “Ms. Martinez is reported to have good legal ability and is considered knowledgeable about her areas of practice. She has had litigation experience in a variety of areas and she is reported to possess a good temperament. She is active in community activities. The Council finds her Qualified for the Circuit Court.” The results from the current evaluation show that Ms. Martinez has had additional litigation experience in complex areas and she continues to be praised for her temperament, her fairness as a Commissioner, and for her skills as a lawyer. The Council finds her Qualified for the Circuit Court. Kristal Rivers was admitted to practice in Texas in 1996 and in Illinois in 1997. She is an Assistant Illinois Attorney General where she practices in the Sexually Violent Persons Bureau. She served as a Dallas County, Texas Assistant District Attorney from 1996 to 2000. In 2000 she returned to Illinois and from 2001 to 2010 practiced law as a solo practitioner and then as a member of a small firm before joining the Illinois Attorney General’s Office. Her work in private practice did not involve more complex litigation matters. Most respondents say that she has good legal ability and temperament. But the Council is concerned that her litigation experience lacks sufficient depth and breadth. Additionally, some lawyers in recent cases have questioned her litigation skills and diligence. On balance, the Council finds her Not Qualified for the Circuit Court. Hon. Peter J. Vilkelis was admitted to practice in 1980. He was appointed to the Circuit Court by the Illinois Supreme Court in 2011. Before becoming a judge, he was in private practice focusing on criminal defense work. He served as an Assistant Cook County State’s Attorney between 1981 and 1990. He is considered to have good legal ability and is praised for his professionalism. He has substantial experience in more complex legal matters. The Council finds him Qualified for the Circuit Court. Hon. Daniel J. Kubasiak was admitted to practice in 1981. He was appointed to the Circuit Court by the Illinois Supreme Court in 2012 and is currently assigned to Traffic Court. Before becoming a judge, he had been in private practice for most of his career with the exception of serving as Chief Administrative Officer for the City of Chicago between 1983 and 1987. He had substantial experience in more complex litigation matters. As a lawyer, he is considered as having good legal ability and temperament. He is praised for his litigation skills. As a judge, he is praised as being diligent and respectful to all those before him. The Council finds him Qualified for the Circuit Court. Patricia O’Brien Sheahan was admitted to practice in 1996. She is currently the Associate General Counsel of the Rehabilitation Institute of Chicago, where she oversees all litigation and claims made against her employer and its employees. She handles case investigations, pretrial discovery, and settlement negotiation. She handles and defends all employment/labor matters and claims before the EEOC, Illinois Department of Human Rights, and other administrative tribunals, including preparation and questioning of witnesses. She has prepared appellate briefs filed in both the Illinois Supreme Court and in the Illinois Appellate Court. From 1996 to 1999 she was a litigation associate with Baker & McKenzie in Chicago, working in the litigation and employment litigation practice groups. She reports that during her time at Baker, she first chaired a jury trial, represented clients in evidentiary proceedings, defended and took more than 50 depositions, and had an active motion practice. She is active in community affairs. Lawyers report that she has good legal ability and is praised for the quality of her work product. She is considered to be knowledgeable, and always prepared. In general, Ms. Sheahan is considered to be a very good lawyer and case manager with experience in a variety of state and federal litigation matters. The Council finds her Qualified for the Circuit Court. Hon. Caroline Moreland was admitted to practice in Illinois in November 1995. From 1996-2010 she worked as an Assistant Cook County State’s Attorney. She was appointed to the bench to fill a judicial vacancy in September 2010. As a prosecutor, Judge Moreland was considered to have good legal ability and temperament. She prosecuted felony matters as a First Chair prosecutor. The Council finds her Qualified for the Circuit Court. Hon. Thomas Joseph Carroll was admitted in 1988. He was appointed to the Circuit Court by the Illinois Supreme Court in 2011. He was an Assistant Public Defender for four years, moving from juvenile to misdemeanor to felony work. He had been a sole practitioner specializing in criminal defense. Mr. Carroll is reported to have good legal ability and temperament. Before becoming a judge he had substantial litigation experience in both civil and criminal law matters. He is praised as being hard-working and well prepared. The Council finds him Qualified for the Circuit Court. Cynthia Cobbs was admitted to practice in 1988. She was appointed to the Circuit Court by the Illinois Supreme Court in 2011. From 2002 to 2011, she served as the Director of the Administrative Office of the Illinois Courts, where she drafted proposed amendments to Supreme Court rules, administered Supreme Court rules, was responsible for enforcing standards governing filing protocols for the offices of the circuit court clerks, and participated and facilitated Supreme Court committees. From 1997 to 2002, she was an attorney and then the Chief Legal Counsel for the Administrative Office of the Illinois Courts. From 1990 to 1997 she was the senior judicial law clerk to Illinois Supreme Court Justice Charles Freeman. Since January 2013 she has been assigned to a civil trial call in the First Municipal District. From 2011 to 2013 she was assigned to the Traffic Division. Judge Cobbs is considered to have good legal ability and is reported to have a good judicial temperament. She is praised for her courtroom management skills in her current assignment. She explains her rulings to the parties and is considered to be knowledgeable, as well as patient with pro se litigants. The Council finds her Qualified for the Circuit Court. Linda Mastandrea was admitted to practice in 1995. She is a solo practitioner focusing on administrative adjudication in cases involving disabled individuals. She has also served as a Hearing Officer for a variety of state and local agencies. Most lawyers report that Ms. Mastandrea is a strong advocate, knows the law, and has a good demeanor. A few, however, questioned her ability to manage cases. She is exceptionally active in community affairs. The Council is concerned, however, that she does not have the substantial litigation experience in more complex matters required to be a Circuit Judge. The Council finds her Not Qualified for the Circuit Court. Carolyn Joan Gallagher was admitted to practice in 1982. She is a solo practitioner focusing on litigation, appellate work, real estate, and transactional matters. She has done commercial litigation in both state and federal courts. Between 1985 and 1992 she was an associate with Dardick & Denlow and between 2000 and 2004 was a Legal Writing Instructor at the DePaul University College of Law. As a writing consultant, she has assisted in the writing and editing of several law practice-related books. Ms. Gallagher is praised for her legal ability and knowledge. She has substantial commercial litigation experience. She is reported to be a zealous advocate for her clients, but she is praised for professional demeanor. The Council finds her Qualified for the Circuit Court. William B. Raines was admitted to the Illinois bar in 1993 after a number of years in law enforcement. The candidate worked as a Cook County State’s Attorney for a little over one year, from January 1994 through June 1995, in the Narcotics Division. He was Special Counsel to the Freemont Corporation Insurance Company from May 1995 through May 2001. He then became Special Counsel to the National Insurance Crime Bureau’s criminal and civil fraud prosecution department. He remained in this last position until November 2001 when he opened his law practice. During the last few years, Mr. Raines has acquired substantial trial experience to go along with his substantial non-litigation experience. He is considered to have good legal ability and temperament. The Council finds him Qualified for the Circuit Court. Patricia Susan Spratt was admitted to practice in 1991. From 1992 to 1995 she was an associate at a small firm doing civil litigation involving securities issues. She then became a partner as Shefsky & Froelich where she does both trial and appellate work. She is considered to have very good legal ability and her knowledge of the law is well regarded. She has written and lectured extensively, including a book on professional responsibility which is used as a source for the members of the Illinois Supreme Court Committee on Professional Responsibility on which she serves. She is considered to be a resource for research and trial tactics. She is praised for her professional demeanor. 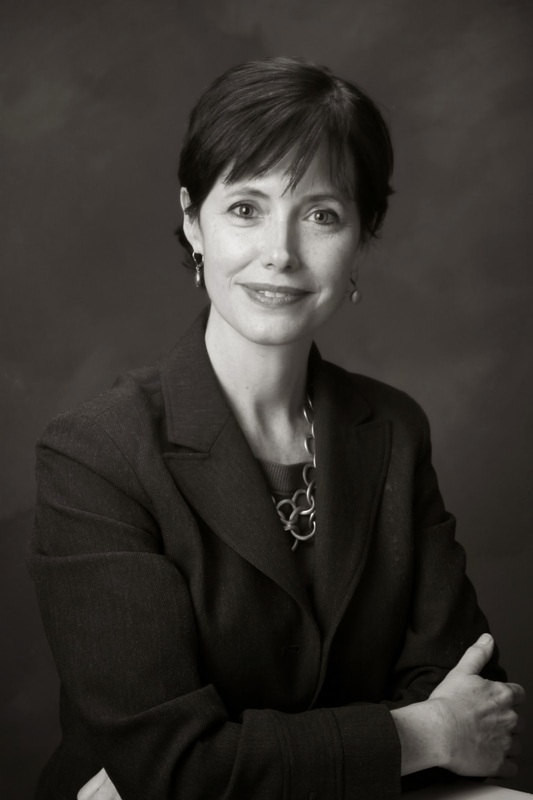 Ms. Spratt has substantial experience in a variety of complex litigation matters. The Council finds her Well Qualified for the Circuit Court. Mary Alice Melchor was admitted to practice in 1992. Since 2005 she has served as the Inspector General for the office of the Clerk of the Circuit Court of Cook County. From 2003 to 2005 she was the Associate Clerk of the County Bureau for the Office of the Clerk of the Circuit Court of Cook County, and from 2002 to 2003 served as a Chief Deputy Clerk. She was a sole practitioner from 2000 to 2002 with a general law practice, and was an associate in an insurance defense firm from 1998 to 2000. She was a senior attorney for the Chicago Housing Authority’s Torts Department from 1994 to 1998 and from 1992 to 1993 she was an associate in an insurance defense firm. She reports handling five civil jury cases and 4 bench trials. In 2009, the Council stated in an evaluation, “Ms. Melchor is highly praised for her temperament and for her community service. The Council is concerned, however, because she has not had substantial experience with complex litigation matters. The Council finds her Not Qualified for the Circuit Court.” The current evaluation shows that Ms. Melchor is a smart and respected attorney who works exceptionally hard and is knowledgeable about the areas in which she practices. But she does not have substantial experience in complex litigation matters – an important requirement for any judicial candidate. The Council finds her Not Qualified for the Circuit Court. Stephen J. Feldman was admitted to practice in 2001. He is a solo practitioner focused on criminal law matters, including DUI defense. He has served as an Enforcement Attorney with the Illinois Secretary of State’s Office. Since 2003 he has served as a part-time hearing officer at the Secretary of State’s Department of Administrative Hearings where he presides over administrative hearings of petitioners seeking reinstatement of their driver’s license. Mr. Feldman is considered to have good legal ability and knowledgeable about his areas of practice. He is reported to have a good temperament, with high integrity. He has substantial litigation experience, including trial work. These cases, however, are often in less complex matters. This is a close call in light of his substantial experience, but at this point in his career, Mr. Feldman does not have substantial experience in sophisticated matters. The Council finds him Not Qualified for the Circuit Court. Diana Rosario was admitted to practice in 1989. She currently is in-house Counsel for the City of Chicago Department of Family and Support Services, advising the Department on legal issues. She has served as an Assistant Cook County State’s Attorney, and from 1992 to 1995 she worked as an Administrative Hearing Officer for federal aviation violations. Ms. Rosario is considered to have good legal ability and temperament. She is praised for her knowledge of intergovernmental agreements and other issues related to her current position. The Council is concerned, however, that while she is respected in her current position, she does not have recent litigation experience in more complex matters. On balance, the Council finds her Not Qualified for the Circuit Court at this time. Hon. Andrea Michele Buford was admitted to practice in 1986. She was appointed to the Circuit Court by the Illinois Supreme Court in 2011. Before becoming a judge, she had been a sole practitioner since 2001. She served as a Hearing Officer with the Illinois State Board of Education, a Commissioner with the Illinois Court of Claims, and a Hearing Officer with the Illinois Department of Human Services. From 1998 to 2001 she was a Partner with Buford Peters Ware & Zanzitis, and was an Associate and then a Partner with Jones Ware & Grenard from 1986 to 1998. She is exceptionally active in pro bono service and community activities. Judge Buford is reported to have good legal ability, a good temperament and a breadth of experience. She is considered to be hard-working and always well prepared. The Council finds her Qualified for the Circuit Court. James Patrick Crawley was admitted to practice in 1990. He is currently a sole practitioner. From 1999 to 2002 he was Deputy General Counsel in the Cook County Treasurer’s Office. Before 1999 he was a lawyer in small law firms doing personal injury litigation work. He has substantial experience doing more complex personal injury litigation. Mr. Crawley is praised a solid litigator who is hard-working with a good temperament. He is considered to have good legal ability and is exceptionally knowledgeable. The Council finds him Qualified for the Circuit Court. Kelly Maloney Kachmarik did not participate in the judicial evaluation process. The Council finds her Not Recommended for the Circuit Court. In this post, I'll cover the Council's ratings of Appellate Court candidates. In posts later today, I'll put up posts regarding the CCL's ratings in countywide and subcircuit races. The Council's report says that, if "a candidate has demonstrated the ability to perform the work required of a judge in all of these areas, the Council assigns a rating of 'qualified.' If a candidate has demonstrated excellence in most of these areas, the Council assigns a rating of 'well qualified.' If a candidate has demonstrated excellence in all of these areas, the Council assigns a rating of 'highly qualified.' If a candidate has not demonstrated that he or she meets all of the criteria evaluated by the Council, the Council assigns a rating of 'not qualified.'" The Council notes that candidates for the Appellate and Supreme Courts are held to a higher standard than candidates for the Circuit Court because of the "broad impact" that reviewing court judges have on the justice system as a whole. Moreover, the Council states, "qualities of scholarship and writing ability are more important to the work of the Supreme and Appellate Court justices than they are to satisfactory performance as a trial judge." For the March primary, no candidate received a "highly qualified" rating from the Council, but one Appellate Court candidate, one countywide candidate, and four subcircuit candidates were found "well qualified." submission of the proposed evaluation and write-up to the candidate prior to its public release, to provide an opportunity for comment, correction, or reconsideration. The Council also notes that, where a candidate is already a sitting judge, it places "special importance on interviews with attorneys who practice before the judge, particularly those who were not referred to the Council by the candidate." Finally, the Council notes, its determination that a lawyer is not qualified to serve as a judge should not be taken as a negative assessment of that candidate's abilities as a lawyer. "A good lawyer may be unqualified to be a judge, for instance, because of a narrow range of prior experience, limited trial experience, or limited work doing legal research and writing. * * * [I]t should be recognized and expected that we will rate some good lawyers 'not qualified.'" For more about the Council's evaluation process, see the complete Council report. Meanwhile, herewith are the comments made by the Chicago Council of Lawyers regarding candidates for the Appellate Court. Judge Sheldon A. Harris since 2010 has been the Presiding Judge of the Appellate Court, First District, Second Division. Before going to the Appellate Court, he served as a trial judge assigned to the Law Division, Trial Section, where he presided over jury and non-jury trials. He was appointed to the bench in 2000, but lost in the 2002 primary election. He was reappointed to the bench in 2005 and served in the Municipal Department until January 2008. He served in Law Division between 2008 and 2010. Judge Harris enjoyed a good reputation as a lawyer. Since returning to the bench in 2005, practitioners reported that Judge Harris demonstrated a patient and professional demeanor. He was considered to be knowledgeable and hard-working. Those with experience in the Appellate Court say that he is attentive during oral arguments and that is opinions are well-reasoned and well-written. The Council finds him Qualified for the Appellate Court. Hon. Susan Kennedy Sullivan was admitted to practice in 1994 after a 20-year career as a registered nurse. She was elected as a Circuit Judge in 2010 and is currently a Circuit Court judge hearing cases in the Traffic Division, although she has been assigned to the Elder Law Division which has not yet begun to receive cases. As a lawyer, she practiced in the Probate Division and was regularly appointed to be a Guardian ad Litem and to be a court-appointed attorney. As a lawyer, she had substantial litigation experience and is considered an expert in elder law issues. She had numerous publications in her previous career and prepares written opinions in her current judicial assignment. She is considered to have good judicial temperament and is praised for her courtroom management. The Council finds her Qualified for the Appellate Court. Hon. Freddrenna Lyle was admitted to practice in 1980. She was appointed to the Circuit Court by the Illinois Supreme Court in 2011. She currently hears cases in the Traffic Division, although she is assigned to the Elder Law and Miscellaneous Remedies Division. This Division has not yet begun to hear cases. Before becoming a judge, she worked in small firms and as a solo practitioner. She had substantial experience in more complex litigation matters, and was a respected practitioner. She served for 13 years as a member of the Chicago City Council. Judge Lyle is reported to be knowledgeable and is praised for her ability to manage a high volume court call. She is reported to have a good judicial temperament. The Council is concerned that Judge Lyle does not have substantial experience as an appellate lawyer nor does she present substantial numbers of published articles. She is certainly qualified for the Circuit Court, and she has vast life experiences that demonstrate her analytical thinking and that have presented opportunities for writing. On balance, the Council finds Judge Lyle Not Qualified for the Appellate Court. David Wayne Ellis was admitted to practice in 1993. He is the Chief Counsel to the Illinois Speaker of the Illinois House of Representatives. He represents the Speaker in litigation matters, advises the Speaker on legislative issues such as legislative redistricting cases and the recent lawsuit against Governor Quinn over his line-item veto of legislative salaries. He also negotiates various legislative provisions. He served as House Prosecutor in the Blagojevich Senate Impeachment trial and served as a Special Assistant Attorney General defending the 2011 Illinois redistricting map in federal court against alleged violations of the federal Voting Rights Act and the Equal Protection Clause. From 1996 to 1998 he was an associate with Cahill, Christian & Kunkle doing civil litigation. From 1993 to 1996 he was an associate with Phelan Pope & John doing civil litigation. Mr. Ellis is reported to have good legal ability and temperament. He has extensive legislative experience as Chief Council to Speaker Michael Madigan and has significant experience in litigation-related matters. He has experience in substantial number of community activities, including pro bono representation in litigation matters. Mr. Ellis reports handling four appellate matters as principal counsel and many respondents noted the high quality of his written work. The Council finds him Qualified for the Illinois Appellate Court. Hon. Sharon Oden Johnson was admitted to practice in 1996. She was elected to the Circuit Court bench in 2010 and since 2011 has served in the Parentage and Child Support section of the Domestic Relations Division. Before being appointed to the bench, Judge Johnson had a legal career focused on family law matters. She is considered to be a capable jurist in her current assignment with a good judicial temperament. She is praised for being well-prepared. The Council is concerned, however that Judge Johnson did not have substantial litigation experience in complex matters before becoming a judge and has served as a Circuit Judge for a limited time. The Council finds her Not Qualified for the Illinois Appellate Court at this time. Hon. John B. Simon was admitted to practice in 1967 and was appointed to the Illinois Appellate Court in November 2012. From 1967 to 1974 he served as an Assistant U.S. Attorney where he rose to the position of Chief of the Civil Division. From 1975 to 1985 he was a partner with Friedman & Koven doing civil, criminal, and appellate litigation. He then served as a partner with the law firm of Jenner & Block, principally engaged in commercial litigation, until his appointment to the bench. As a lawyer, Judge Simon is described as a knowledgeable and respected litigator with very good legal ability and temperament. He is praised for his litigation skills and was often described as a “superb litigator.” Judge Simon also receives high praise in his role as an appellate court judge. He is an active participant in oral argument – lawyers report that he asks the right questions – and he receives praise for his written opinions. He has been active in court reform activities. The Council finds him Well Qualified for the Appellate Court. Today's Law Bulletin carries the chilling story of Cook County Circuit Court Clerk Dorothy E. Brown's request to the Illinois Supreme Court to mandate efiling in Cook County by 2016 (subscription required). “Those of us who practice in the federal system, we like it,” Eaton said. “It’s efficient, it’s quicker and I hope that’s where the state system heads. Mr. Eaton is right when he says efiling in the District Court here is efficient and quick. If the Circuit Court of Cook County was really intent on emulating the federal system, efiling in the Circuit Court would be a great idea. But, as things stand now, efiling in the Circuit Court of Cook County is a terrible idea and this proposal must be turned aside. But the Clerk of the Circuit Court does not have PACER. It has instead a fee-generating monster. With PACER a lawyer can see and download any document filed in his or her case for free, at least the first time around. The lawyer can look at any pleading in any federal court for no more than ten cents a page. Nothing in the proposed mandatory Cook County efiling scheme gives lawyers or the public access to true copies of filed documents at any price. The Clerk's current electronic docket system is better than nothing -- especially since no files ever seem to be available at the counter for inspection these days -- but it sure isn't PACER. But, even if an additional fee is considered politically acceptable for credit card usage, why would direct draws from the efiler's bank account be charged similarly? If I bring an Appearance or a new Complaint to the Clerk's office to file, there is no charge, over and above the statutorily-authorized filing fee, for taking my office check. If my office account has insufficient funds to cover the check, I will be subject to the wildly imaginative fees and penalties imposed by my bank. (That's a strong incentive never to bounce a check. And if the bounced check came from my client fund account, I would in addition draw the unwanted attention of the ARDC.) As a practical matter, in most cases, the bank will pay the check and chase its customer for the deficiency. The Clerk is paid. If the bank does not also cover the check, the Clerk would dun the would-be filer for the fee, and rightly so. See, 705 ILCS 105/27.2a(gg) (imposing escalating penalties for delinquent fees); see also, 705 ILCS 105/27.2b (allowing interception of State income tax refunds to satisfy delinquent fees). Either way, the Clerk is paid. And, if the Clerk is not paid, the would-be filer may find him or herself in serious trouble with the court. A fee of 3.59% of the amount of the transaction is added to each eFiling transaction (credit card, debit card, or ACH) to administer and report the electronic payment. The minimum Electronic Payment Fee per transaction is $1.00. The amount is automatically added and displayed prior to financial commitment by the filer. The amount will also display on the eFile receipt. Electronic Payment Fees are non-refundable once the electronic filing transaction has been submitted, and will not be refunded in the event of rejection by the Clerk. But increased filing fees are only the tip of the iceberg. There appear to be no "free filings" in the current Cook County efiling scheme. There is a $2.95 convenience fee imposed on each electronic filing transaction to pay for computer system usage and electronic service (if applicable). The convenience fee is waived for CLSP and granted 298 Petition filings. The convenience fee is non-refundable once the electronic filing transaction has been submitted, and will not be refunded in the event of rejection by the Clerk. Can you imagine having to fork over an additional $3 ($4 if the $1 minimum Electronic Payment fee is also added in) every time you need to file anything? That makes the present efiling system wholly indefensible. Ah, the naive may say, but progress must come at a price. It will cost money to update and automate and implement any efiling system. Here's a newsflash: The Clerk already receives money for automation. Lawyers, look at any receipt in any file for an Appearance or Complaint in any of your files. You will see that the receipts show separate charges for both an "automation" fee and a "document storage" fee. The document storage fee is specifically authorized by §27.3c of the Clerks of Court Act, 705 ILCS 105/27.3c, and there can be no doubt that this fee is meant to defray the cost of conversion to electronic record storage -- you know, the digital files where efilings go. Section 27.3c(a) specifically provides, in pertinent part, "The expense of establishing and maintaining a document storage system in the offices of the circuit court clerks in the several counties of this State shall be borne by the county. To defray the expense in any county that elects to establish a document storage system and convert the records of the circuit court clerk to electronic or micrographic storage, the county board may require the clerk of the circuit court in its county to collect a court document fee of not less than $1 nor more than $15, to be charged and collected by the clerk of the court. The fee shall be paid at the time of filing the first pleading, paper, or other appearance filed by each party in all civil cases." And the separate "automation" fee is authorized by §27.3a of the Clerk of Courts Act, 705 ILCS 105/27.3a. Section 27.3a states, in pertinent part, "The expense of establishing and maintaining automated record keeping systems in the offices of the clerks of the circuit court shall be borne by the county. To defray such expense in any county having established such an automated system or which elects to establish such a system, the county board may require the clerk of the circuit court in their county to charge and collect a court automation fee of not less than $1 nor more than $15 to be charged and collected by the clerk of the court. Such fee shall be paid at the time of filing the first pleading, paper or other appearance filed by each party in all civil cases...."
I may have missed a fee or two, but every party is already paying at least $30 in every case to establish this new efiling Nirvana. So why should we ask our clients to pay more? How can we justify this? E-Filing is the center of court technology for the 21st century. Without e-filing, a court system falls short of the expectations of today's practicing bar. More importantly, it fails to capitalize on the many benefits of modern electronic technology: paper management, increased efficiency of workflow, improved use of manpower (no double entry, fewer documents to handle, fewer counter and telephone inquiries), and lower costs associated with notifications (postage, paper and manpower). Efiling should save money: Automated filing should mean no more (or at least substantially fewer) clerks stamping pages and operating cash registers -- fewer salaries and pensions -- and no more (or far fewer) clerks with giant stacks of paper sitting on their desks, waiting to be filed. Using an efiling system should save the county money. Charging more money, therefore, to use efiling makes about as much sense as allowing banks to charge more money to use ATMs than for presenting checks at the counter. Yes, I know. Banks get away with it. They shouldn't. But, regardless, the robber-baron business practices of our banks should not provide the template or inspiration for the provision of government services. Kalinsky's story today quotes Clerk Brown's spokesperson as saying that "Brown would consider adjusting the fee structure if the Supreme Court mandates e-filing." That's not good enough. Not nearly good enough. The Supreme Court, we are told, wants efiling. That's fine. But PACER should be the standard, not the eventual ideal. It is a starting point, not an ultimate goal. The present efiling regime promises nothing like PACER at outrageous cost. I hope the Circuit Court and the Supreme Court (and the bar associations who may consider the current proposal) will just say no to mandatory efiling in Cook County unless and until it equals or exceeds the quality offered by PACER. Updated 2/26/14 to incorporate reader-provided corrections. 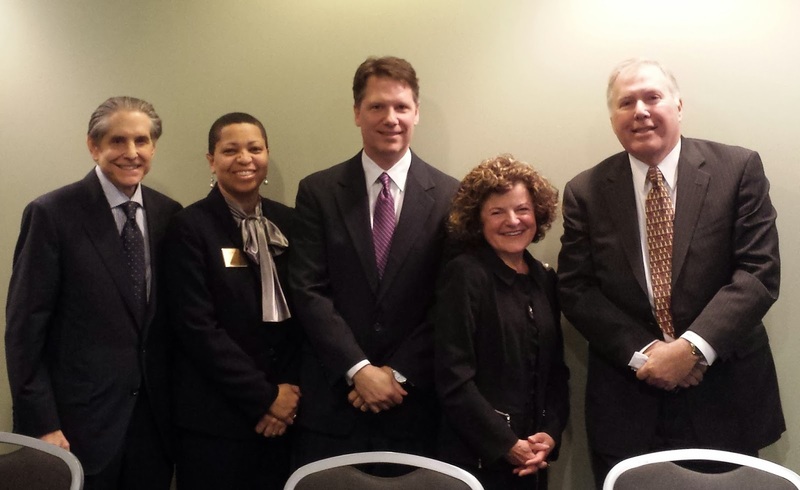 Five of the six candidates for the First District of the Illinois Appellate Court attended yesterday's Appellate Court candidate forum, co-sponsored by the Chicago Bar Association and the Appellate Lawyers Association. Only Judge Freddrenna M. Lyle, a candidate for the Gordon vacancy, was unable to attend (she had committed to appear but was fell ill, according to event organizers). Even if you missed yesterday's forum, you still have an opportunity to see and hear the discussion: The CBA will be posting a link to the presentation on its website. As soon as the link goes live, I will try and have it available here. Meanwhile, I have a new video link this morning, from the cable-access TV show, "Taped With Rabbi Doug." The show airs on CAN-TV on Monday evenings at 8:30 and Tuesday afternoons at 3:30 p.m. For a complete listing of channels on city and suburban systems where you can find the program, click here. A quick search of Rabbi Doug's YouTube channel this morning did not disclose any other 2014 Cook County judicial candidate interviews besides this one of 9th Subcircuit candidate Michael A. Strom (Preston vacancy). If I've missed something, I'm sure I'll hear about it. Supporters of Judge Anthony C. "Tony" Kyriakopoulos are planning a fundraiser for their candidate on Thursday evening, February 27, from 6:30 to 9:00 p.m., at La Oaxaqueña Mexican Restaurant, 3822 N. Milwaukee, Chicago. Appetizers, food and wine will be served; there will also be live entertainment. Tickets for the event are $50 apiece, but sponsorships are available (Bronze - $100, Silver - $250, Gold - $500). For more information about the event, or to reserve tickets, call Rosie Lambrinatos at (847) 732-7290. Supporters of countywide judicial candidate Patricia S. Spratt, including honorary event chairs Cong. Jan Schakowsky, Cook County Commissioner Larry Suffredin, and former Cook County State's Attorney Richard Devine, are planning a fundraiser for their candidate on Monday, March 10, from 5:30 to 7:30 p.m., at Potters Lounge, in the Palmer House Hotel, 17 E. Monroe. Tickets for the event are $125 apiece and sponsorships are available ($250 - Sponsor, $500 - Sponsor, $1,000 - Host). For more information about this event, or to order tickets, email eric@blueprintcampaignconsulting.com. Patricia O'Brien Sheahan is a candidate for the countywide Felton vacancy. Her punch number is 148. I began my legal career nearly 18 years ago when I was hired as a litigation associate at Baker & McKenzie, which was the world’s largest law firm at that time. While at Baker & McKenzie, I gained federal court experience at the district court level and in the Seventh Circuit Court of Appeals, and significant state court experience. I went to court nearly every day, represented clients in evidentiary proceedings, defended and took numerous depositions, briefed and argued many contested dispositive motions and first chaired a state court jury trial. I represented clients in a wide-range of complex civil litigation matters, including medical malpractice, employment, products liability and class action defense before federal and state courts and in administrative agencies. I also gained valuable appellate experience. I drafted several appellate briefs and appeared at the oral arguments in appeals filed in the Illinois Supreme Court and in multiple appellate districts throughout the State. Because of the litigation and courtroom experience I gained at Baker & McKenzie, I was hired in 1999 as the Associate General Counsel of the Rehabilitation Institute of Chicago (RIC). RIC is a specialty hospital that provides comprehensive rehabilitation services at its flagship hospital and at over 30 out-patient facilities throughout Illinois. RIC has been recognized as the “#1 Rehabilitation Hospital in America” since 1991 by U.S. News and World Report. In my capacity as Associate General Counsel, I oversee all litigation and claims against RIC, including case investigations, pre-trial discovery and settlement negotiations. I appear in court on a variety of matters on behalf of RIC, ranging from contested motions, discovery requests/disputes and all pretrial conferences. Additionally, I handle and defend all employment/labor matters and claims before the EEOC, the NLRB and the IDHR, including fact finding conferences, mediations and evidentiary hearings. I also represent RIC in a wide variety of other complex disputes ranging from employment contracts to insurance coverage to probate matters. Throughout my years as an attorney, I have engaged in rewarding pro bono and public interest work. I have been active with the Center for Disability and Elder Law (CDEL) for the past 16 years, having served for 12 years as a member of its Governing Board of Directors, as well as, more recently, on its Advisory Board. I also serve as Vice President of the Easy K Foundation, which is a not-for-profit residential home for individuals with developmental disabilities. I am involved in various bar associations and professional groups. For example, I am a member of the Illinois Women’s Bar Association and have been a member of the Chicago Bar Association since 1996. My husband TJ Sheahan and I have four children. We reside in Evanston, which is where I grew up. I am active in my community and serve as the Secretary of the Parent-Student Organization of my children’s grade school. Throughout my career, I have strived to distinguish myself in the legal profession and to take advantage of professional opportunities. For instance, in law school, I served as an Editor of the Law Review, was a member of the Dean’s List and was awarded a paid fellowship for a public interest position through the Children’s Legal Clinic. At Baker & McKenzie, I sought out opportunities to work on diverse and sophisticated litigation matters. At RIC, I have effectively handled all litigation matters involving the hospital, its doctors and other employees. Now I want to bring my training, experience and even temperament to the bench. I have always been an honest and conscientious advocate. As a Circuit Court Judge, I will be decisive, respectful and fair. Accordingly, I hope to earn your vote in the upcoming election. The Great Myth of judicial elections is that nothing is known about judicial candidates and nothing can be known. Certainly, it's very hard to see anything with your eyes resolutely shut. But for voters who want to look for information about Cook County judicial candidates, there are all sorts of resources over and above the bar association ratings (for the CBA ratings, scroll down the page; the Alliance ratings are coming soon). Regulars here will have noted Avy Meyers' North Town News Magazine candidate interviews, and Tony Joyce's CAN-TV "Election 2014 Specials." Some candidates have taken up my invitation to supply statements -- more may yet -- where they can say anything they want voters to know about them. Cook County Clerk David Orr allows candidates for all countywide candidates to provide statements. These are linked from this page on the County Clerk's website. A number of Cook County judicial candidates (to date, Martiza Martinez, Patricia S. Spratt, Diana Rosario, Judge Jerry A. Esrig, Judge Pamela McLean Meyerson, and Judge James L. Kaplan) have statements posted. The Daily Herald has also posted questionnaire responses from several countywide judicial candidates. That link will take you to the Daily Herald site. IllinoisJudges.net is starting to post questionnaire responses on its site. Only a couple of Cook County candidate responses are posted so far (IllinoisJudges.net covers all the Downstate contests as well), namely, 13th Subcircuit Republican candidate John Curry and countywide Democratic candidate (there are no countywide Republican judicial candidates) Carolyn Joan Gallagher, but more will be posted soon. State the qualifications and experiences that make you qualified to serve on the bench in Illinois. One prominent Illinois judicial evaluation survey asks attorneys to evaluate candidates on Integrity, Impartiality, Legal Ability and Temperament. Critique yourself in these four areas as to how they make you qualified to serve on the bench. Describe the case in which you are most proud of your work as a lawyer. Name one change you would make in the Illinois court system. Are there civil litigation reforms that you would like to see enacted to remedy particular problems that you have detected, either as a practicing lawyer or as a sitting judge? Are there reforms that would benefit the civil justice system? What needs to be changed? Should the enactment of any such changes be the province of the legislature, the Supreme Court or by Constitutional amendment? Do you believe that our judicial system adequately deters and penalizes frivolous litigation? If not, what reforms would you like to see? Do you believe the Illinois Constitution precludes legislative establishment of limitations on civil damages? Are there or should there be distinctions among economic, non-economic and punitive damages? But, then, the ICJL will use these questionnaire responses to make endorsements in certain races. What do you believe are the major strengths and weaknesses of the Circuit Court? How could the circuit court be improved? How should judges be assigned to the various divisions of the Court? If you are elected, to what division would you like to be assigned and why? What are the pros and cons of an elected, an appointed, or a hybrid system for the judiciary? How might the Illinois courts benefit or suffer from a change? Please cite and explain the case or cases which best illustrate your understanding of the scope of the right to privacy under the Illinois Constitution. How has mandatory sentencing affected the criminal justice system in Illinois? How has automatic transfer of juveniles for felony charges affected the criminal justice system in Illinois? How has it affected the recidivism rate of juveniles? Do you think the juvenile justice system should focus on rehabilitation or punishment? Why? How do you account for the disproportionate number of minorities prosecuted and incarcerated? What can the courts do to correct the disparity? What do you consider the important aspects of a judge's decision in handling a petition by a minor for a waiver of parental notice with the intent to have an abortion? What options available to a judge under Illinois law would you consider most effective in sentencing perpetrators of hate crimes? Please explain your choices. What is the proper role of the judiciary in promoting diversity in the legal profession and on the bench? How can the judiciary better address diversity issues? The IVI-IPO has posted questionnaire responses from candidates in other races (including the Appellate Court) on this page; when and if Circuit Court candidate responses are posted, they will presumably be at that page as well.